In Minnesota, many of the 12,000 people from Liberia know someone in their homeland who has been sickened or killed by Ebola since the outbreak began. Thomas Duncan, a Liberian man sick with Ebola, lost a fight for his life at a Dallas hospital Wednesday. 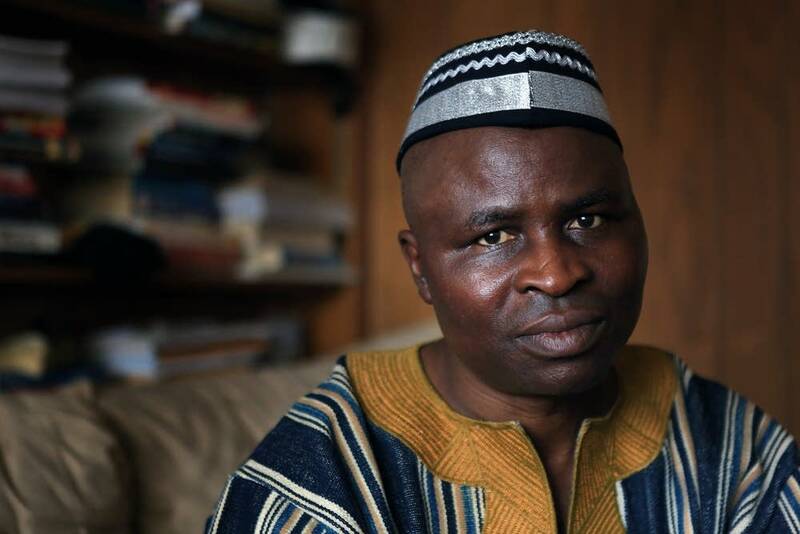 As he battled the illness, Liberian-American leaders in Minnesota began pleading with their community not to travel. They fear that another infected person could enter the country, sparking a wave of negative publicity. At a community center in Maple Grove, where some Liberian-Americans gathered Sunday to celebrate the Muslim holiday, Eid ul-Adha, Imam Mohammed Dukuly said he pleads with worshipers to fight the urge to travel home when they know loved ones are dying. They should not make the trip, he said, even if it means forgoing the traditional burial rite of washing the deceased person's body. "The person who is already dead, is dead," Dukuly said. "Our responsibility as Muslims, our obligation is to protect the living." 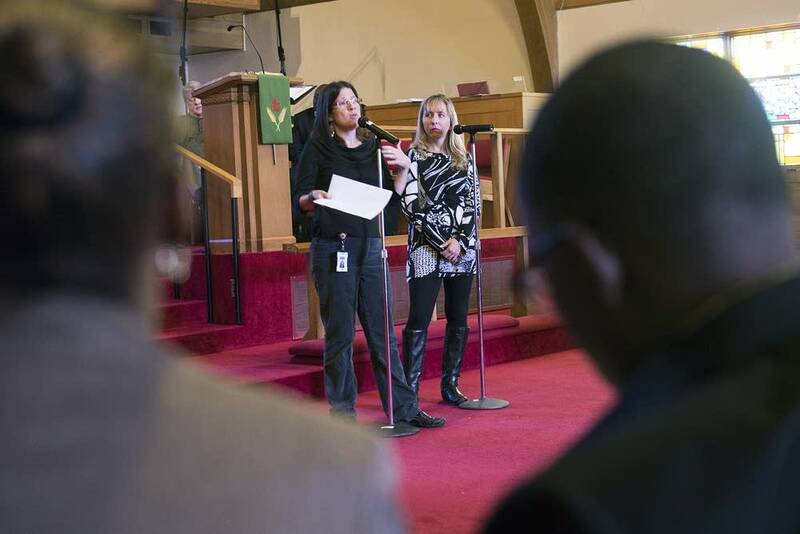 An estimated quarter of Liberians in Minnesota are Muslim. Dukuly also is concerned about the stigma Ebola carries. Because of the publicity surrounding Thomas Duncan, some African immigrants in Dallas say they've been told not to come to work. Dukuly said his biggest worry is that an infected person will show up in Minneapolis. "The stigmatization that brings to our community," he said. "Someone from West Africa came into that place and has caused problems for people in Texas." Helping Dukuly spread that message is Abdullah Kiatamba, who heads the Minnesota African Task Force Against Ebola, formed to raise money and awareness. Kiatamba also warns people not to travel home. "It makes sense to support your family, but if you go to Africa now, somebody in your family will have Ebola, and they won't tell you they have Ebola," he said. "And when you come back and you don't feel good. When they ask you say 'oh no, I don't think I got Ebola, I think I got malaria.' And when they find out you'll be on CNN." The advice is undoubtedly heartbreaking for Liberians who have lost dozens of relatives to Ebola. Among them is Fomba Konjan of Minneapolis. When he received a call last month from his brother in the Liberian capital of Monrovia, the news was grim: 17 members of their extended family — including many nieces and nephews — had died of Ebola. Now, it's much worse. "On my father's side I lose 24," he said. "And my mother's side I lose eight." Konjan also lost his sister. He said it's especially hard to grieve from 5,500 miles away. "We just stay here and pray to God: save our country and our continent and so on," he said. The warnings against travel to Liberia appear to be working. Travel agent Jannie Seibure said Liberians who already have bought tickets to return home for Christmas — and most Liberians in Minnesota are Christian — are cancelling their travel plans. "In recent times, that's all we see ... a lot of refunds from passengers who had already made plans to travel to Monrovia, Sierra Leone and Guinea," Seibure said. The warnings against traveling to West Africa are also making it harder to transport aid to the countries affected by Ebola. Global Health Ministries, a Lutheran charity, has been sending donated medical supplies to hospitals in Liberia for more than 20 years. 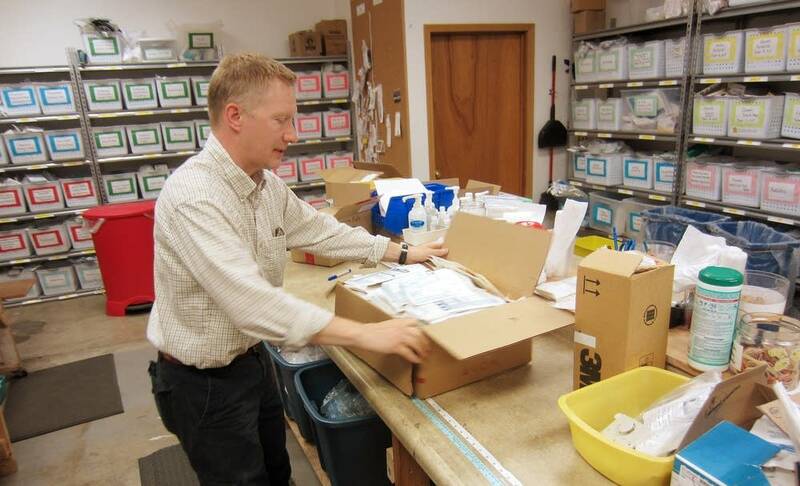 If operations director Scott Lien hears that someone is traveling there, he'll give them a suitcase filled with surgical tools, scrubs and other items. But these days, Lien said, no one is going. "We have not heard of anyone traveling lately," he said. "So we're trying to find anyone going there that could hand carry suitcases full of personal protection equipment." However that is not stopping the ministry from helping people on the front lines of the Ebola crisis. Lien said a shipping container packed with medical supplies and protective gear arrived in Monrovia this week; another with food is due there in early November. The ministry's warehouse in Fridley is stacked floor to ceiling with more items ready to go in the next shipment. Many were donated by Liberian-Americans in Minnesota unable to travel but still eager to help.